Why is my Non Half Hourly meter (NHH) being changed to a Half Hourly meter (HH)? …P272! P272 is an Ofgem mandate that requires all Maximum Demand meters to be converted to Half Hourly Meters before 31-Mar-2017. The purpose is to improve billing and settlement issues. Official information provided from Ofgem can be found here. How do I know if I will be effected by this mandatory change? If your MPAN (supply number) starts with 05, 06, 07 or 08 (maximum demand), then you will be impacted by this change. You can find your MPAN number on a bill, or contact Direct Power for assistance. All suppliers are obligated to enact P272 conversions. Whilst a specific outcome is required to satisfy P272, suppliers were not given a set of instructions on how to achieve the end result, so how this change is implemented will vary between suppliers. Given the complications associated with P272 compliance, many suppliers are simply declining to quote for new Maximum Demand business, which explains why alternate quotes for MPANs starting with 05, 06, 07 or 08 are thin on the ground. The process to change these supplies is very complicated and still developing. Some suppliers will require clients to sign two contracts, one to cover pre-conversion, and one to cover post-conversion to HH, while other suppliers are requiring a single contract. Many suppliers are opting to focus on their own portfolio of meters and do not wish to acquire additional maximum demand meters at this time. Once the P272 deadline has passed, I expect this situation to change and competitiveness to return to pre P272 levels. I already have an AMR meter, do I need to do anything? Most business Maximum Demand meters already have AMR in place. 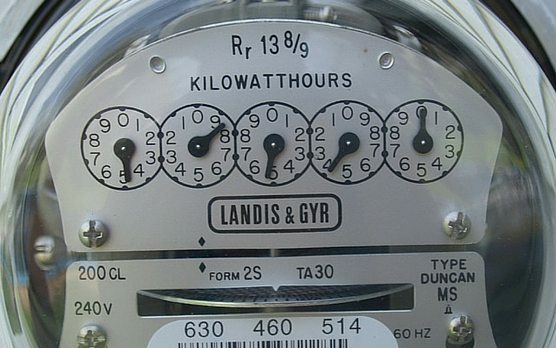 Going forward your meter will be remotely converted to comply with the HH obligation. Once set up as a HH meter, you will be able to use the HH records to manage your energy consumption, enabling you to alter your consumption patterns and take advantage of ‘cheaper’ hours. Whilst these acronyms sounds like a bad 70’s rock band, they actually refer to specific services required by all HH customers. A Meter Operator (MOP) covers the installation and servicing of your meter. If you don’t appoint your own MOP you will be charged for the supplier’s default MOP, this option is typically more expensive. At this early stage, Meter Operators are investigating ‘reduced cost’ MOPs for those supplies effected by P272. This is a dynamic situation, so contact Direct Power to get further guidance on MOPs for P272 meters. Click here for more detailed information on MOPs. A Data Collector (DC) interacts with the meter, retrieving consumption details and repaying this to the current energy supplier to ensure bills are based upon genuine consumption. Most customer’s rely on the supplier’s default DC for this function. Data Aggregator (DA) interprets the information provided by the DC to invoice and settle your supply. The minority of supplies appoint their own DC and DA, if this is the case, please liaise with your current energy supplier so they know who to appoint and do not ‘double charge’ you for these services. If your site is impacted by the above, you are not alone, this change is expected to impact 160,000 meters. Even the energy suppliers are constantly evolving their approach to P272. Any questions or confusion, please contact Direct Power for further assistance with P272.